Christina is a Speech-Language Pathologist who received her Bachelor’s degree from the University of Georgia (Gooo Dawgs!) and her Master’s in Communication Disorders from Auburn University. She’s had the pleasure of working with both children and adults in various settings, including the school system, private practice, outpatient rehab, and skilled nursing facilities. While she loves working with all populations, pediatrics is her favorite! When she is not working, she enjoys spending time with her friends and family, reading, and traveling. Jennifer graduated with her Bachelor of Science in Education in Speech-Language Pathology from the University of West GA in 2013, and received her Master’s of Communication Disorders from Auburn University in 2015. She is certified by the American Speech-Language Hearing Association (ASHA), as well as licensed by the State of Georgia. 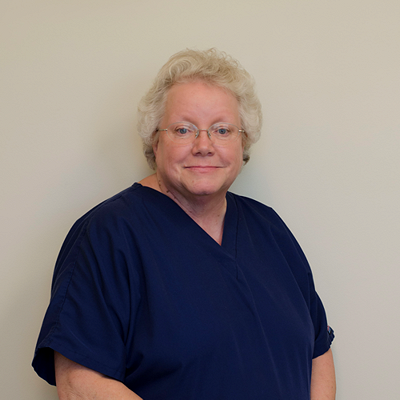 Jennifer has experience working in the public school system, private clinics, and skilled nursing facilities. She has experience working with early language developmental disorders, expressive and receptive language disorders, articulation/phonological disorders, fluency disorders, dyslexia, hearing impairments, autism, down syndrome, cerebral palsy, trach/vents, adult dysphagia, aphasia, and voice disorders. Jennifer’s special interests include early intervention, down syndrome, autism, and pediatric feeding/swallowing disorders. She is trained in the Sequential Oral Sensory Approach (S.O.S. ), “a trans-disciplinary program for assessing and treating children with feeding difficulties and weight/growth problems from birth to 18 years. It integrates posture, sensory, motor, behavioral/learning, medical and nutritional factors to comprehensively evaluate and manage children with feeding/growth problems.” She is trained in Beckman Oral Motor Assessment and Intervention program, which addresses issues concerning Oral Motor Patterns and Oral Motor Impairments. Jennifer has also completed the Talk Tools “Feeding Therapy: A Sensory Motor Approach” course. In her free time, Jennifer enjoys spending time with her husband, traveling, being outdoors, photography, and anything creative! 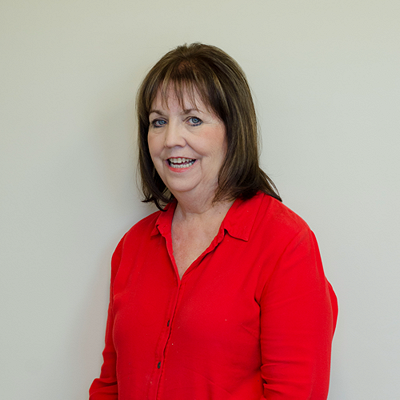 Terry graduated from Jacksonville State University with her Bachelor’s in Education in 1990 and then from Nova Southeastern University with her Masters in Occupational Therapy in 1996. She has experience in sub-acute & outpatient rehabilitation before being employed with the Dekalb County Schools for the last 19 years. In 2010, Terry earned her Doctorate of Occupational Therapy from the University of St. Augustine. While still working for DeKalb County schools, Terry has been with Helping Hands since 2012 where she works with children who present with Autism Spectrum Disorders, Developmental Delays, Cerebral Palsy, Traumatic Brain Injury, Sensory Processing Disorder, Learning Disabled, Cognitive Deficits, Anxiety Disorder, and ADHD. Cindy has been an occupational therapist for 15 years. She earned her BS degree in Exceptional Education from the University of South Florida and her MSOT in Occupational Therapy at Florida International University. In 2011, Cindy completed her Doctorate in Occupational Therapy at St. Augustine University. 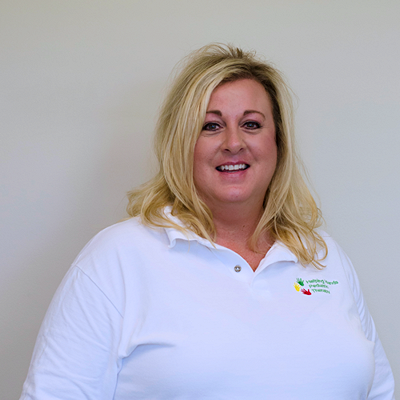 She has worked for 15 years for Dekalb County School System and began working at Helping Hands Pediatric Therapy clinic in May 2012. Cindy has experience working with children and young adults ages 2 years through 22 with ASD, Developmental Delays, Cerebral Palsy, Traumatic Brain Injury, Sensory Processing Disorder, Learning Disabled, Cognitive Deficits, Oppositional Defiant Disorder, Anxiety Disorder, ADHD, and Coordination Disorder. She and her husband, Steve, live in Buford where both of their children, Callie Jo and Colin, attend school. 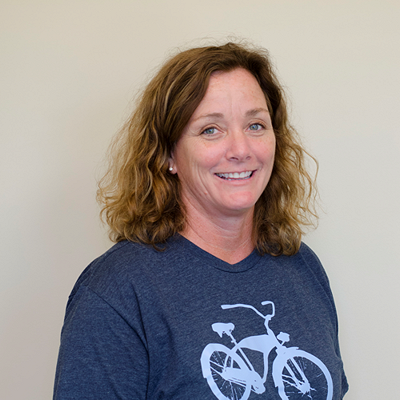 Stefanie is a certified Pediatric Occupational Therapist with more than 25 years of experience in early intervention and pediatric therapies. Stefanie graduated from the University of Wisconsin-Milwaukee in 1992. 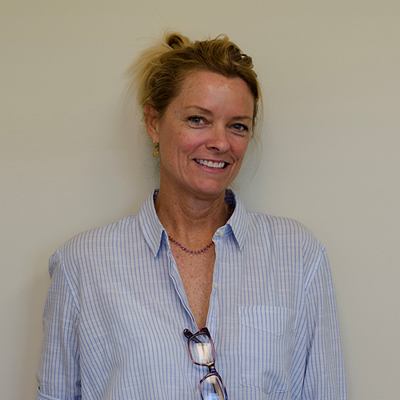 She has worked in a hospital setting treating acute, rehab, and outpatient programs, as well as outpatient facilities. She has experience working with infants & children ages birth through 3 in the early intervention programs in Tennessee, Indiana, and Georgia areas. Most recently, Stefanie has worked with children primarily between the ages of 2 and 14 years, in the clinic setting, with Autism Spectrum Disorders, Developmental Delays, Cerebral Palsy, Traumatic Brain Injury, Sensory Processing Disorder, Learning Disabled, Cognitive Deficits, Oppositional Defiant Disorder, Anxiety Disorder, ADHD, and Coordination Disorder. Stefanie has taken several post graduate courses on Sensory Integration, Neuro-developmental Treatment, Vision Therapy, Oral-motor and Feeding Issues in Pediatrics, Executive Functioning, and is trained in the Handwriting Without Tears Program, Interactive Metronome, as well as Therapeutic Listening and the Astronaut Training Program. Stefanie started Helping Hands Pediatric Therapy, Inc. in 2001 after moving to Georgia, primarily employing therapists to treat in early intervention. Her company has grown from this to providing both early intervention and clinic based therapy with over 10 therapists. Stefanie is the sole owner and director. She and her daughter live in Buford, GA.
Donna Pharis was born in Atlanta, Georgia and lived in various places, including Germany and Alaska, growing up. She graduated from Armstrong State University with a degree in Speech Correction. She has a Masters in Deaf Education from Georgia State University and earned a Certificate of Clinical Competence in Speech in 1989. Donna earned a Specialist in Education degree from Piedmont College in 2012. She worked as a teacher of the Deaf at Atlanta Area School for the Deaf and Atlanta Speech School. She also worked as a Speech Pathologist at Atlanta Area School for the Deaf, at Walton County Schools, N.E. Ga. RESA, Gwinnett Co. Schools, and Kidspeech. 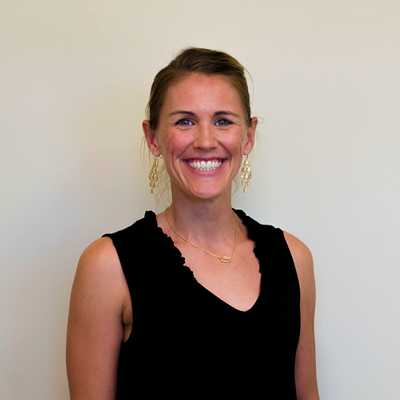 Ali Davis, a national certified and state licensed Speech-Language Pathologist comes to HHPT with 12 years of pediatric hospital-based experience. A long-time resident of Buford, she is tickled to give back to the community she has called home for so long. Ali attended the University of Georgia for her undergraduate degree and Georgia State University for her master’s degree. She has experience treating infants, children, and adolescents with a wide variety of speech and language disorders including: Autism Spectrum Disorders, Hearing Loss, Childhood Apraxia of Speech, Articulation, Phonology, Expressive and Receptive Language Disorders, Fluency Disorders, Social Language/Pragmatic Language Disorders, Language-Based Literacy Disorders, Central Auditory Processing Disorders, and Oral Motor/Feeding Disorders. She enjoys working with children with a variety of etiologies and across a wide range of ages and has a real heart for pediatrics! Ali and her hubby Chris have two precious little ones, Cooper and Finley Jane, who keep them smiling and on their toes! Ali is excited to join the speech therapy team at Helping Hands Pediatric Therapy Clinic! 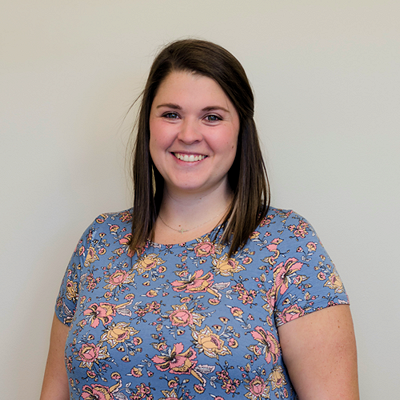 Caitlin Nichols, a national certified and state licensed Speech-Language Pathologist comes to HHPT with 6 years of pediatric school and private therapy experience. Caitlin attended the University of Mississippi for her undergraduate degree and for her master’s degree. She has experience treating infants, children, and adolescents with a wide variety of speech and language disorders including: Autism Spectrum Disorders, Hearing Loss, Childhood Apraxia of Speech, Articulation, Phonology, Expressive and Receptive Language Disorders, Fluency Disorders, Social Language/Pragmatic Language Disorders, Language-Based Literacy Disorders, Central Auditory Processing Disorders, and Oral Motor/Feeding Disorders. Caitlin’s older sister has Down syndrome and her oldest sister and mom are special education teachers. She enjoys working with children with a variety of etiologies and across a wide range of ages and has a real heart for working with children with special needs.